Components: recycled SBR rubber granulate, polyurethane glue, inorganic dye. 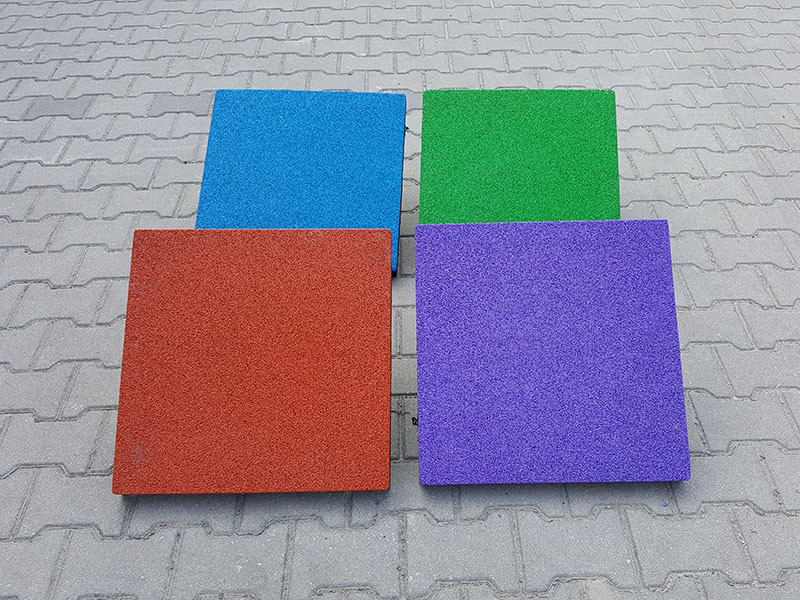 Due to impact resistance, slip resistance, electrical insulation capabilities and anti-toxicity the tiles are suitable for playgrounds, multifunctional sport fields, gyms. 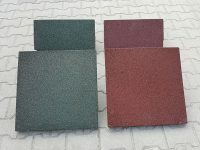 Polyurethane tiles may be applied on concrete or mineral framework. 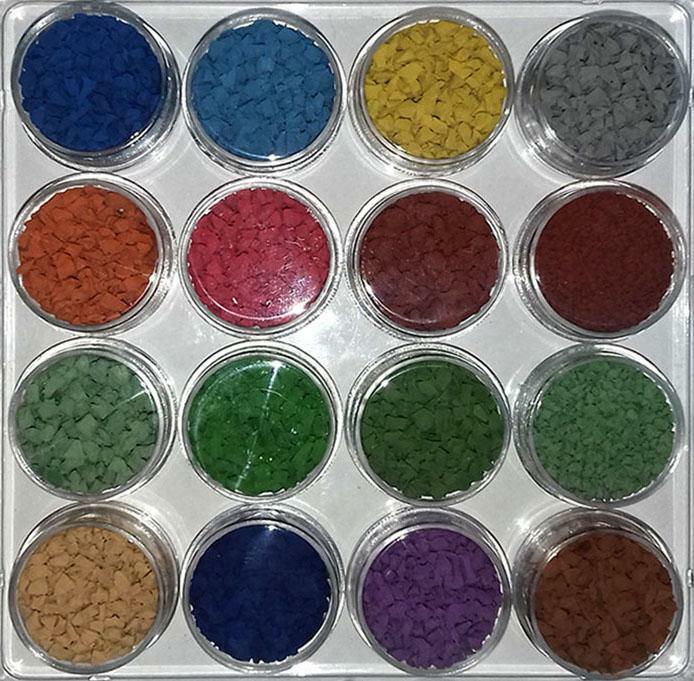 The tiles are combined with the use of plastic pins (16 pcs. per 1m²). The European norm PN EN 1177 defines the requirements concerning safe, impact absorbing surfacing of playgrounds. 1. Bottom SBR layer: recycled SBR rubber granulate, mixed with polyurethane glue. 2. Top EPDM virgin layer: rubber granulate mixed with polyurethane glue. 1. 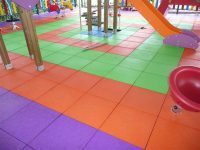 Due to impact resistance, slip resistance, electrical insulation capabilities and anti-toxicity the tiles are suitable for playgrounds. 7. Other applications: multifunctional sport fields, gyms. 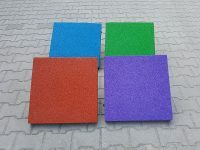 Polyurethane tiles may be applied on concrete or mineral framework. The tiles are combined with the use of plastic pins (16 pcs. per 1m²). 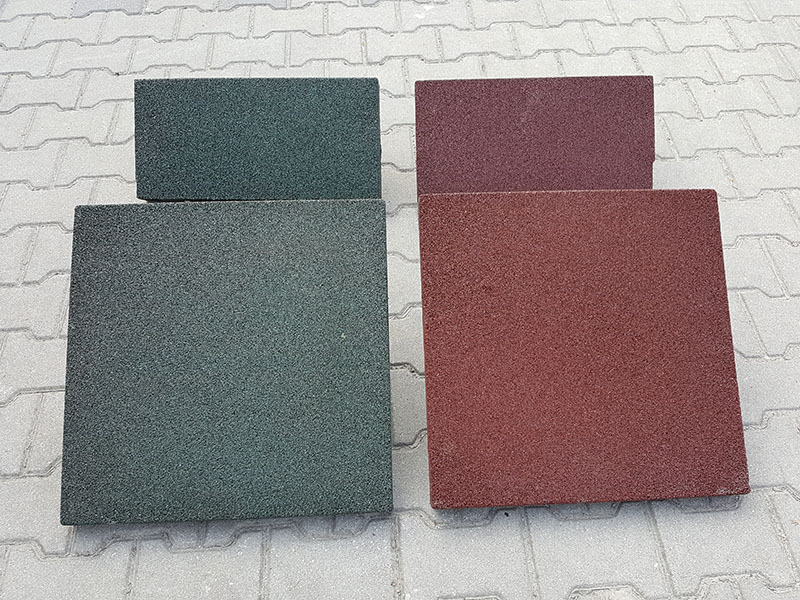 Glue may be used optionally – use the point glue application technique on the sides and the bottom of the tiles.